LOS ANGELES , February 4, 2019 (Industry Intelligence Inc.) – The average prices for organic food and beverages in the U.S. are dropping as more certified items hit mainstream store shelves, but the price premium can still vary a lot depending on the product. That’s according to the latest research from Nielsen, which said that last year organic food and beverages cost an average of 24 cents more per unit than conventional food, or about 7.5% more. That was down from a 27 cent, or 9%, premium in 2014. 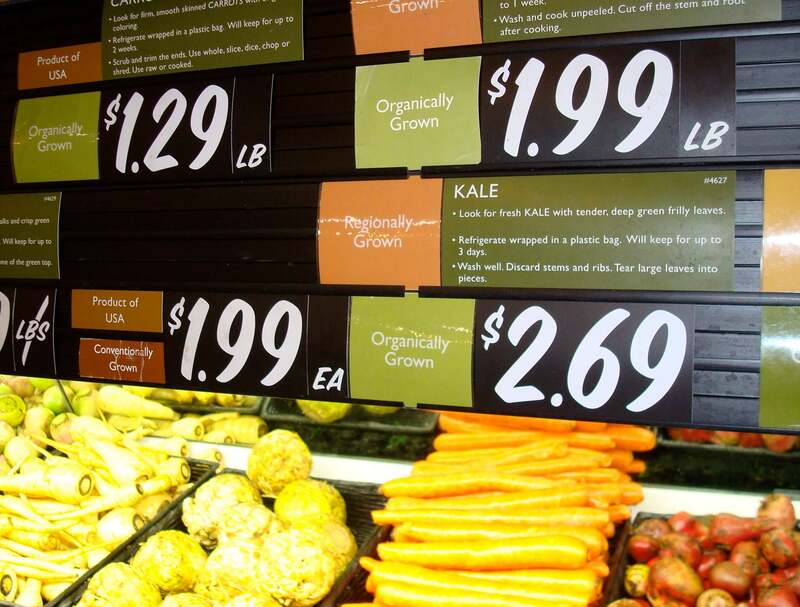 There are many shifting factors behind the prices for organic foods. Premiums for milk and eggs tend to be much higher, for example, because the government has very specific rules for what “organic” means. For example, cows producing organic milk must be allowed to graze for at least one-third of their food intake, said Jeremy Moghtader, the manager of the campus farm at the University of Michigan. One reason organic premiums are falling is the increase in products on the shelves. Organics used to be confined to health food stores and high-end groceries, but mainstream stores are increasingly offering them. Kroger, one of the nation’s largest grocery chains, says it stocks 9,000 organic items in its stores and notched $1 billion in organic produce sales in 2017. The market for organic foods and beverages in the U.S. is evolving, and its scope remains wide-reaching.